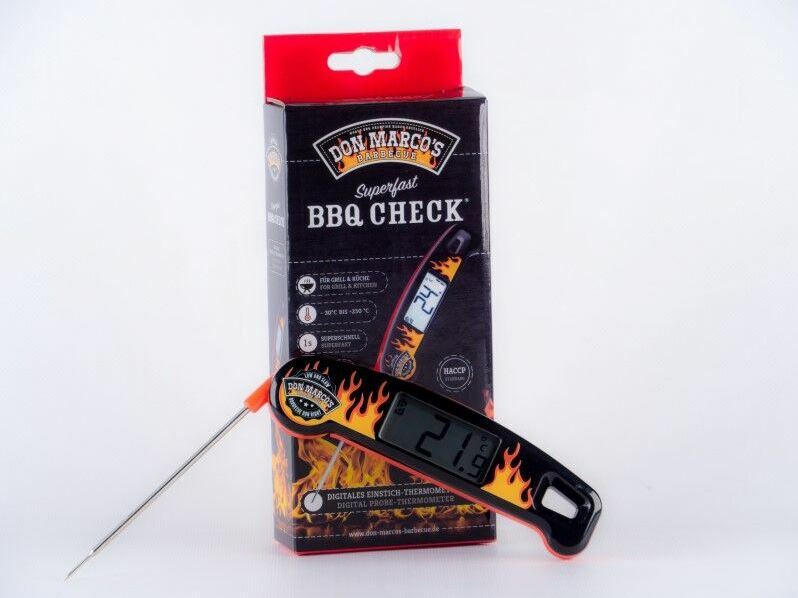 Don Marco’s Barbecue Check is one of the fastest and definitely coolest thermometers on the market. 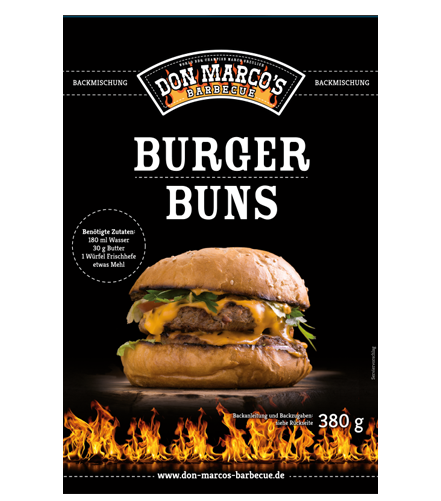 With the help of the incredibly fast and accurate probe thermometer BBQ Check by Don Marco’s Barbecue you don’t have to worry about under- and overcooked meat anymore. 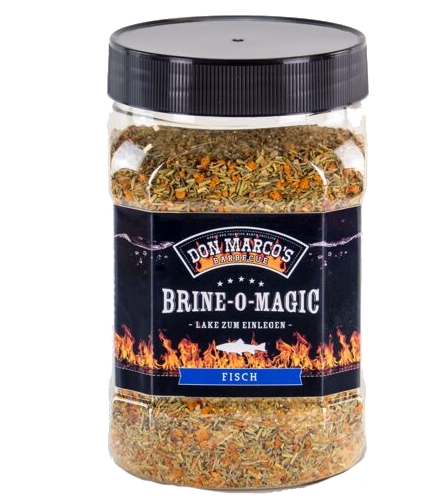 The temperature range of -50- +350°C should satisfy every griller. 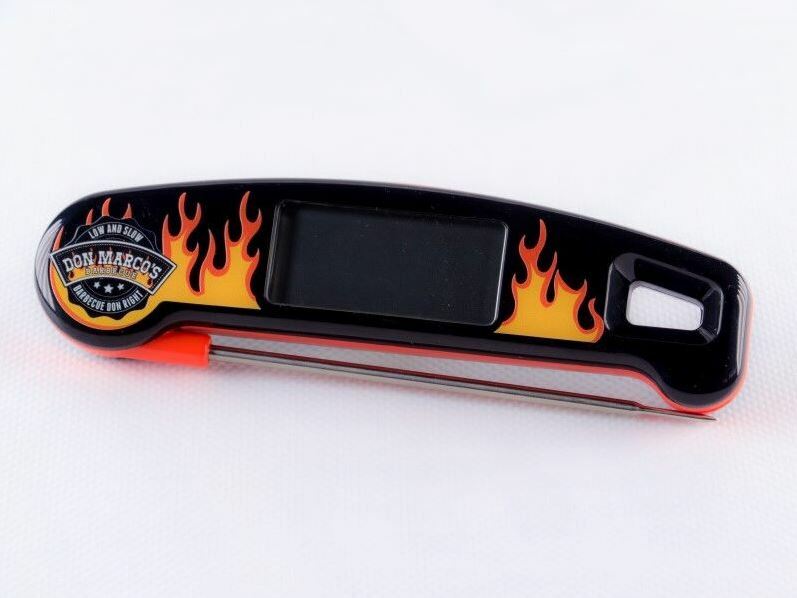 Within 2-3 seconds after probing the meat you get the actual internal temperature reading, no matter if it’s a small piece of fingerfood or a big roast. 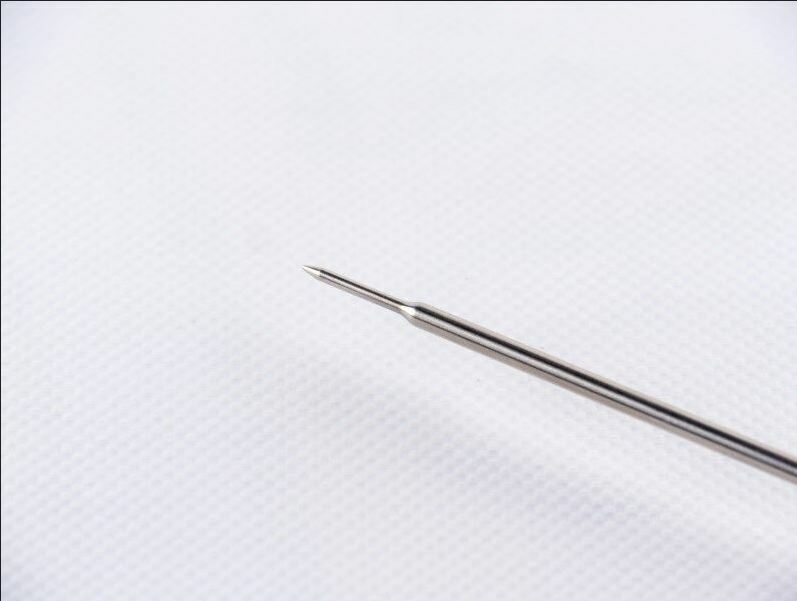 If you are taking the temperature of several pieces, the tip of the probe is already warm from the first reading, so if you switch from one piece to another it usually takes only about 1 second to display the temperature. 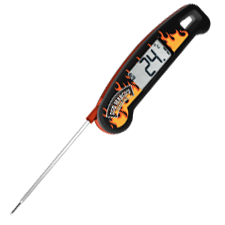 The thin tip of the probe only pierces a very small hole into the meat so which results in very little loss of liquid. 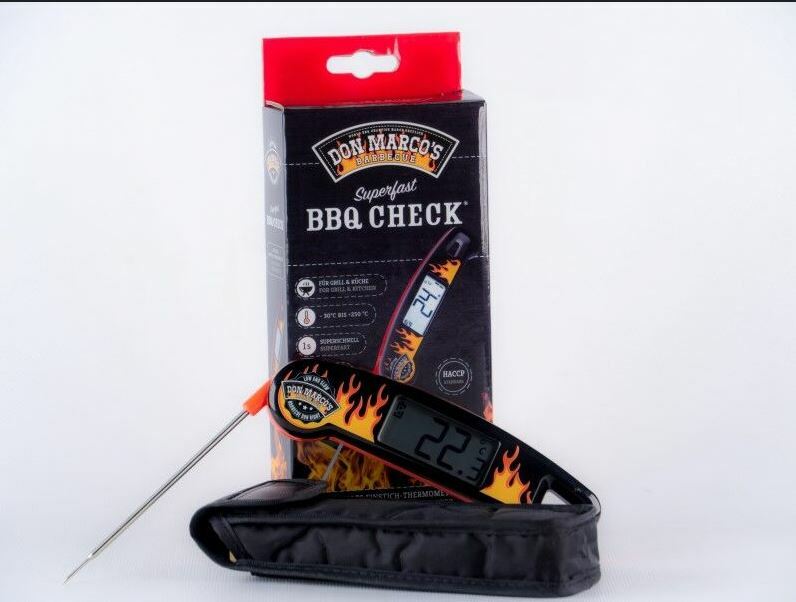 Don Marco’s BBQ Check is splash water proof according to IP65 and comes with extra-long battery life of about 100 hours of continuous use. A handy belt bag is included on the delivery. 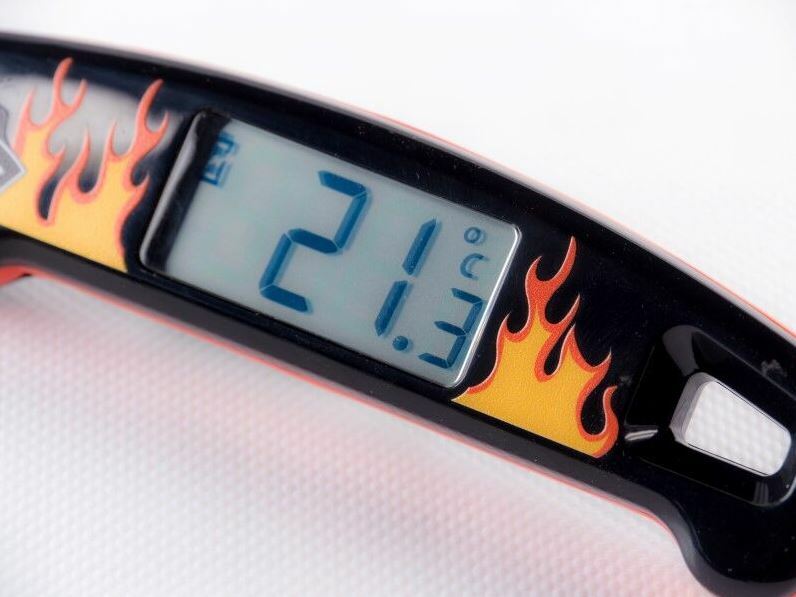 With the belt bag, the thermometer is always available if needed and can be stored safely. 1 Piece in a box including belt pouch and manual.